Corsair are releasing Limited Edition Orange Dominator DDR4 memory clocked at 3400MHz. 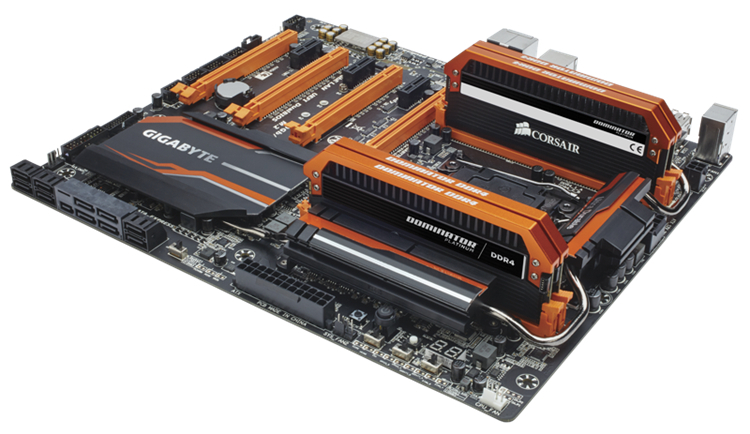 Read more on Corsair's Limited Edition Orange Dominator DDR4 Memory here. does look well with something like Gigabyte SOC + msi lmited edition 970's (did they make 980s as well?). Upgrade to old orange build TTL made long time ago? I don't think they did make a 980. they made a gold 970 and they made the 970 in green as well as the 960. It is a shame really, they should make multiple colours across all cards. It is easy to manufacture I guess and it is a nice touch. I'd sell my granny if they made a Z97 version of this.